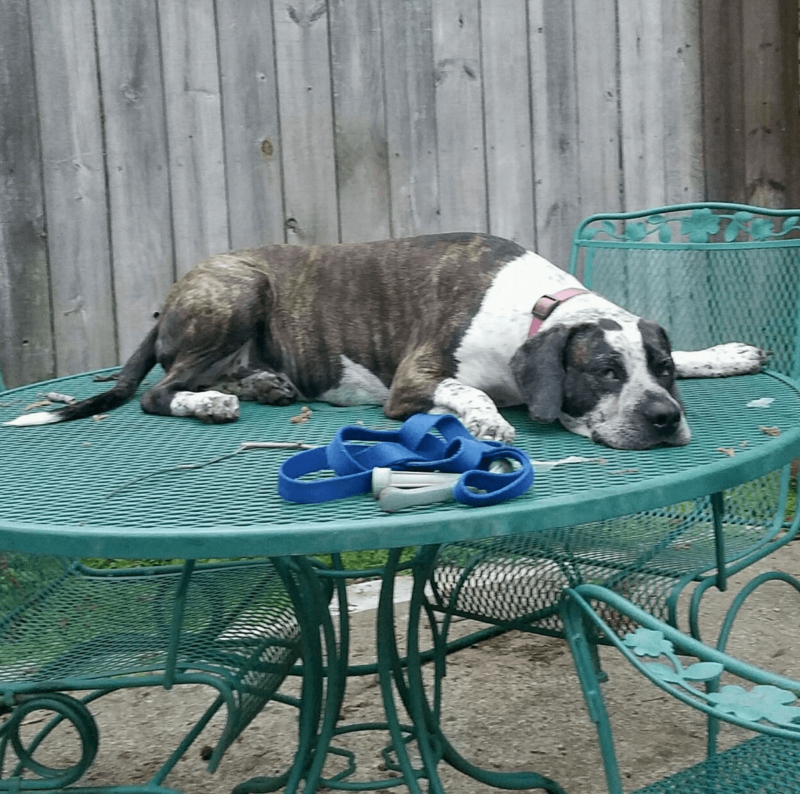 Winnie is a mix breed with a tri-color merle (spots) and brindle (tiger strips) coat. She was adopted from the Greater Birmingham Humane Society on Valentine’s day 3 years ago. Although she has sad hound dog eyes, she is a very happy pup with a signature full body wag and plenty of kisses to share. Winnie loves her leash and chew toys, taking naps on her favorite hounds tooth blanket, and playing with her mom, dad, and friends at Dog Days.